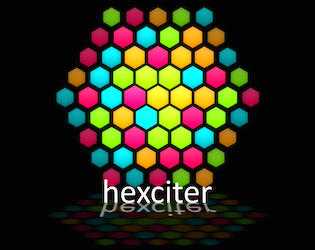 Hexciter is a unique puzzle/arcade game about hexagons. Capture and destroy coloured hexagons to score points! Supports Google Play leaderboards and achievements. Compete against your friends for the highscore! Multiple colour schemes available to support different types of colour blindness.